So since I shared with you our baby boy's nursery, I have been on the hunt for some pieces to make the room feel a little more finished. I'm so in love with his room, it feels so tranquil and the perfect space for a sleepy baby, but definitely needs a few pieces to make it feel complete. 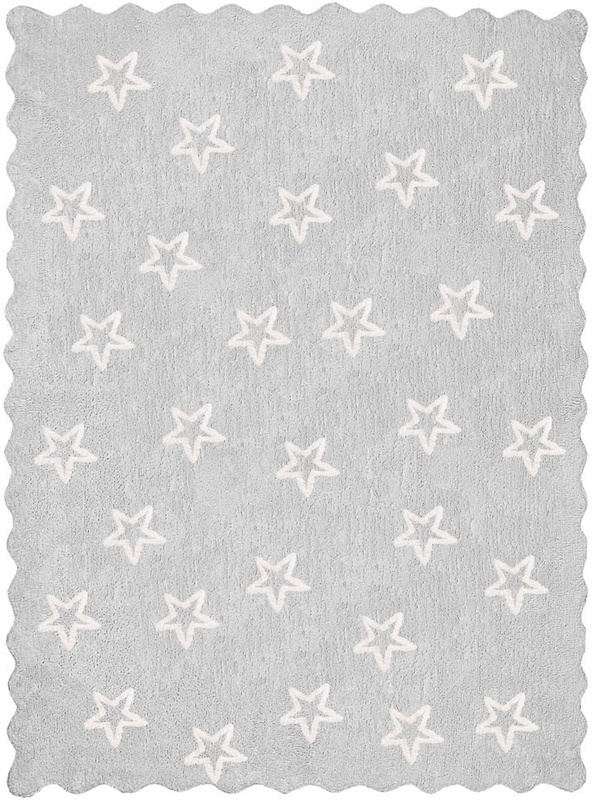 My first thought was to add a rug to help tie the grey, cloud and star theme together, but also to cover a tiny oil stain that I just can't budge. My hubby once thought storing a motorbike exhaust in this room was a good idea... You can tell I was not pleased about this! 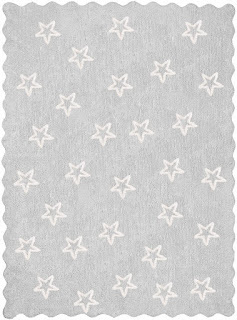 This star children's rug from Love4home is absolutely beautiful and is made of the best quality, I really think it will add that little something more to the floor space. Also its quite nice for babies when they're having tummy time to do so in luxury, don't you think?! I would like to accessorise our nursery chair by adding a few cushions. 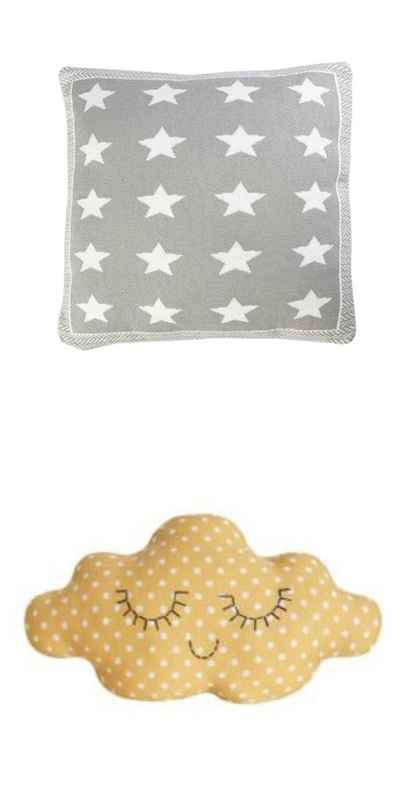 The grey star cushion, again from Love4home compliments the rug well, whilst the yellow cloud cushion adds a splash our colour and fun to the room. I personally would love to have a go at making my own version of this cushion but I'm not sure my needle skills are up to the challenge! A cloud mobile and a cloud print is high on the list too. The cloud mobiles that I have seen plastered across social media were one of the reasons I fell in love with this theme, there are so many beautiful ones out there, its hard to choose the perfect one! A personalised print is something I want to get as soon as he arrives, we made one for Darcie and I think it is something really special to have in their rooms and for them to keep for the future. There are plenty to choose from out there, but this one did stand out, the colours are beautiful and even if we change his room in years to come its a design that would fit almost any colour scheme. As I mentioned in my last post, space is fairly limited in baby's room and so there is a real need to create some more storage space, I like the idea of using floating shelves which should seamlessly fit nicely with the room. They could perhaps house a few keepsake items and pictures. Lastly, lighting is something that I think is also important when you're creating a peaceful and harmonious room for your baby. Adding soft lighting such as lamps to a room can give a soothing glow, and some can even project shapes and images across the room which is perfect for little ones when they're drifting off to the land of nod. This particular one from Love4home sets off the room beautifully and also projects clouds across the room. 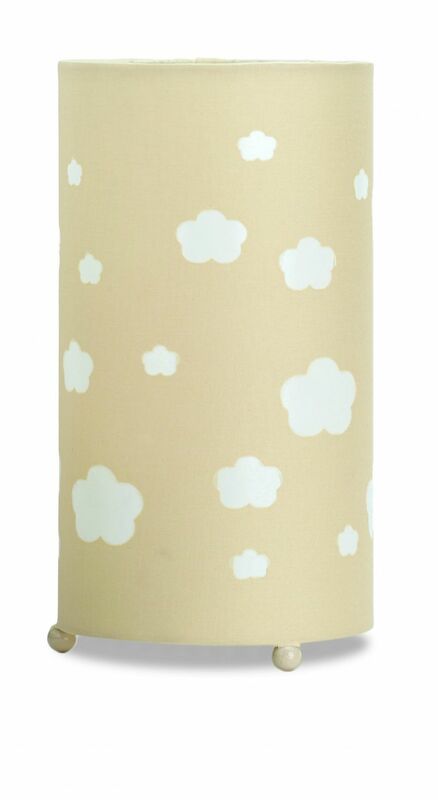 As it is slightly yellow in colour it links well with the personalised print and the yellow cloud cushion. We have about five weeks left till little man's arrival and it will only be then that the room is complete, he is my final finishing touch! I hope you have enjoyed this post, home interiors is something I adore and I'm always on the look out for inspiration to improve our little home. If you enjoy home interiors too, then why not check out this free ebook from Love4home (a brand that I really love and have genuinely got so much inspiration from) for the latest summer trends?